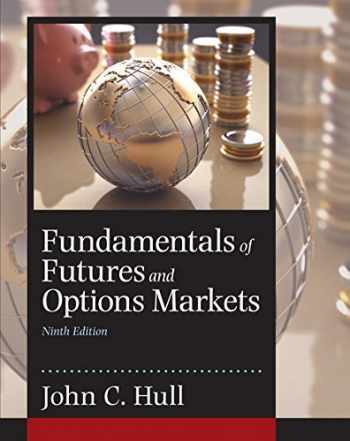 Acknowledged author John C Hull wrote Fundamentals of Futures and Options Markets comprising 624 pages back in 2016. Textbook and etextbook are published under ISBN 0134083245 and 9780134083247. Since then Fundamentals of Futures and Options Markets textbook received total rating of 4 stars and was available to sell back to BooksRun online for the top buyback price of $65.57 or rent at the marketplace. For courses in derivatives, options and futures, financial engineering, financial mathematics, and risk management. An Easily Understandable Introduction to Futures and Options Markets Fundamentals of Futures and Options Markets covers much of the same material as Hull’s acclaimed title, Options, Futures, and Other Derivatives . However, this text simplifies the language for a less mathematically sophisticated audience. The Ninth Edition of Fundamentals of Futures and Options Markets offers a wide audience a sound and easy-to-grasp introduction into financial mathematics.